Use this flexible, hydrating styling gel to create sleek and structured looks with a medium hold. 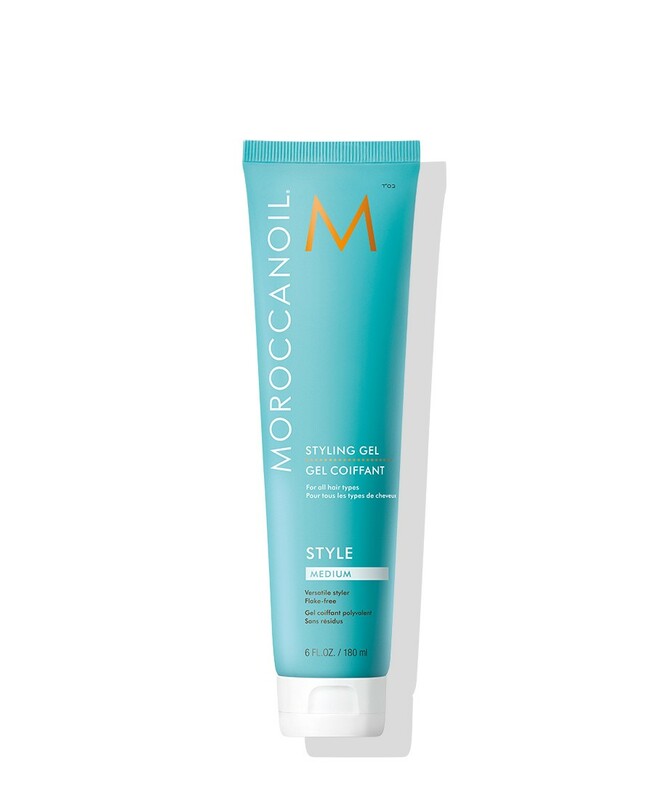 Moroccanoil® Styling Gel Medium is an alcohol-free versatile hair styling tool that can be used on short and long hair for both definition and blow-dry styling. Its argan oil-infused formula nourishes while imparting shine and leaving hair with a soft, flake-free finish. This multi-use gel creates gentle structure and shape on short hair, while still maintaining movement and flexibility. When applied to long hair, it provides support for creating voluminous and defined blowouts.